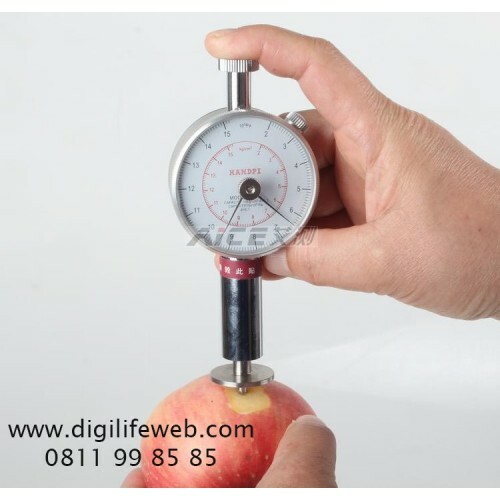 This series has GY-1, GY-2, GY-3 three kind of models, use to testing apple, pear, strawberry, grape, other fruits hardness. Ideal for the fruit scientific research department, fruit company, fruit farm, warehouse, supermarket, technical college agriculture colleges and universities. To cultivate the improved variety, the harvest storage, the product transportation and the processing and so on by the fruits hardness. Thus judge fruit’s maturity. 2. 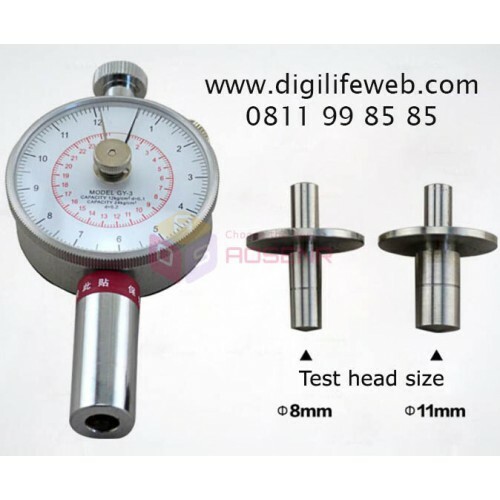 In order to achieve better accuracy, before measuring pressure the pressure head with their hands with full range press 2 to 3 times, so that lubrication. 3. When measuring hardness, should be uniformly slow insertion, can not turn pressure, should not impact measurement. 4. Pressure head fruits should be vertical surface. 5. GY-1 and GY-2 type fruit sclerometer scale units for the outer ring is × 105 Pa, the inner ring scale is kg/cm2, GY-3 type, connecting the small pressure head, with inner ting scale readings, connecting big pressure head, with the outer ting scale readings. 6. The instruments and pressure head should be kept clean and after finishing measurement it should be cleaned be cleaned up the juice.